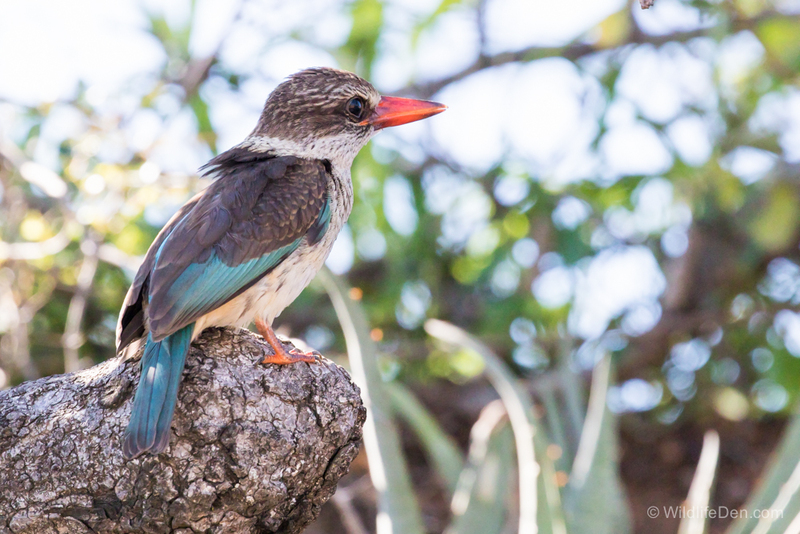 The Brown-Hooded Kingfisher (Afrikaans name Bruinkopvisvanger) is mainly found in woodland areas. The Male has a Black back and the female has a brown back. They feed mainly on insects but also geckos, small chameleons, skinks, young birds and crabs. We sighted this one near his nest in a bank, in the Kruger National Park.